I live in a fairly rural area, so we don't get many cruelty-free products in our local stores. I am in search of a good everyday tinted moisturizer with SPF. I have been using CoverGirl's CG Smoothers SPF 15 Tinted Moisturizer for years. It is perfect in every way but it is not cruelty-free or at all natural. I have a hard time finding cruelty-free tinted moisturizers with SPF so if you know of any good ones, I'd love to hear about them. Thanks! If you're looking for something that you might be able to find locally, many drugstores and super stores (such as CVS and Target) carry cruelty-free makeup by a brand called Physician's Formula. 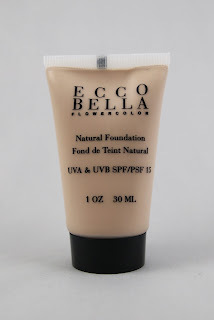 Although I can't recommend all of their products, they do make a vegan tinted moisturizer with SPF 15. It rates about a 3 on EWG's Skin Deep database and uses ingredients from natural origins. Alternatively, you could also look at foundations with SPF. The best cruelty-free options can usually be found at larger health food stores on online. These may be a bit more expensive and offer slightly heavier coverage. Ecco Bella's foundation offers light to medium coverage and SPF 15. Gabriel and Zuzu (they are sister companies) also make great foundations with SPF 18, but the coverage is closer to a true foundation. If you have a favorite foundation or a recommendation for Priscilla, feel free to leave a comment below! Do you have a green or vegan beauty dilemma? If so, contact me and you could be featured on Ask Kaylin! I also offer consultations if you'd like a personalized makeup look or other specialized recommendations.